UPDATE (12:05 pm): Joshua has been located safe and well. Police would like to thank the public for their assistance. 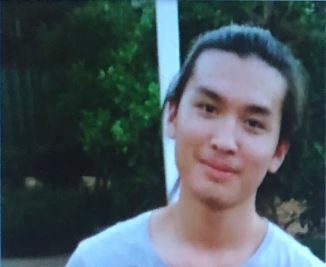 ACT Policing is asking for the public’s assistance to locate missing teenager Joshua Saysana, 19, who was last seen in the Tuggeranong suburb of Bonython around 4:30 pm on Thursday (5 July). He is described as being Asian in appearance, with a slim build, about 178cm (5’10”) tall, with brown eyes and shoulder-length black hair that he usually ties up in a ponytail. ACT Policing said Mr Saysana was last seen wearing a blue soft shell jacket, black skinny pants, black Nike shoes, and he was carrying a backpack. Police and Mr Saysana’s family are concerned for his wellbeing. Anyone who has seen Joshua or has any information about where he may be is urged to contact ACT Policing on 131 444.